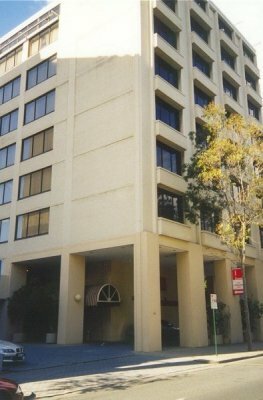 I stayed at these hotels in August 2002 while seeking out the locations used for Naomi's Australian films. Park Regis. Located at 27 Park Street downtown. Spectacular city views from the open air roof on the 46th floor! Hotel Enterprize. Located at 44 Spencer Street downtown, across from the train station. Note the modern tram at the bottom left! 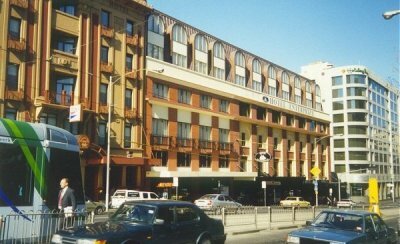 Perth Ambassador Hotel. 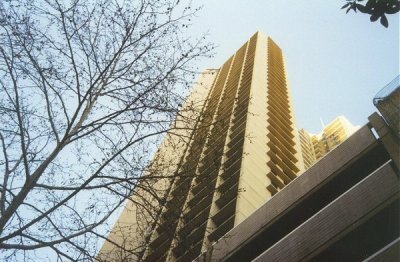 Located at 196 Adelaide Terrace downtown. With its surprisingly luxurious accomodation, it was by far the best value for money!